SIX21.com - Custom T-shirts, clothing, bags, sportswear, and merchandise. The new online store is open, shop today! 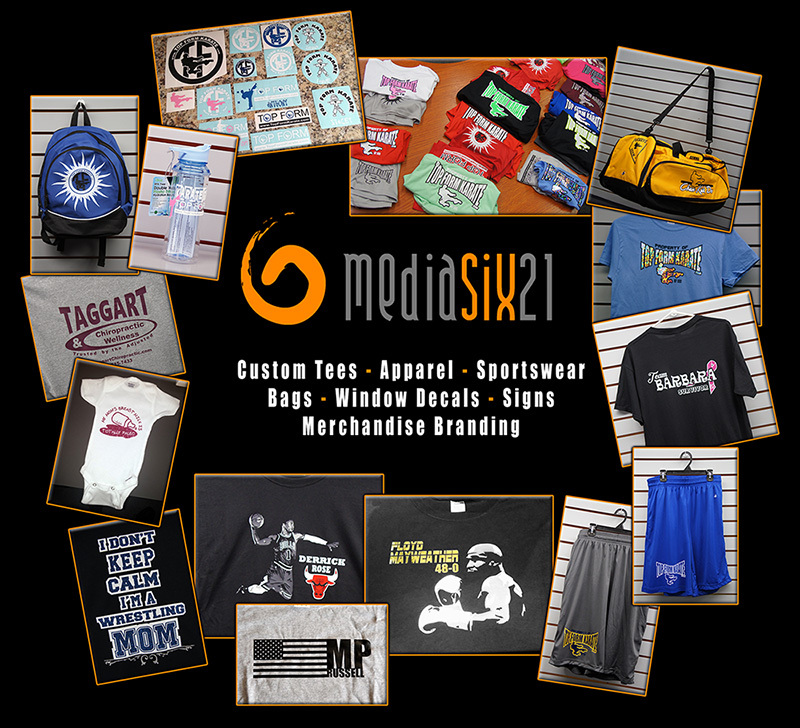 From one of a kind custom shirts and products, personalization of your own apparel or gear, small orders for clubs or groups, or large orders with wholesale pricing, we can help you stand out with quality products and professional designs. Quick Turn-around - Most orders ready within a week!